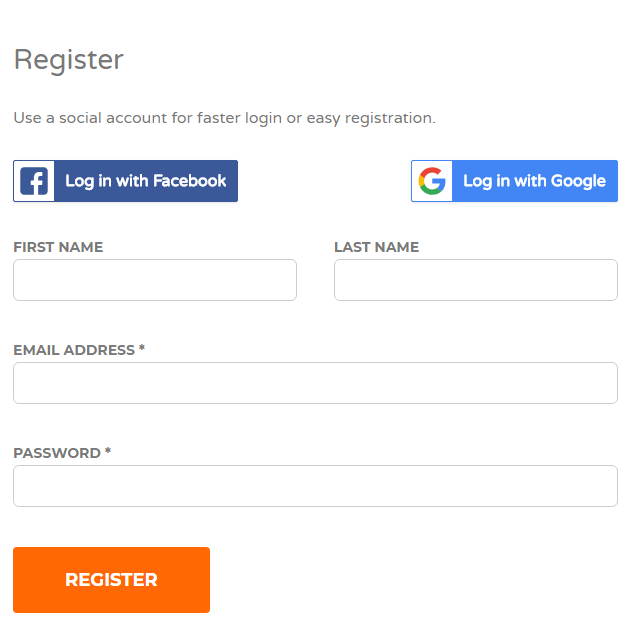 First open the website and login to it if you are already registered, otherwise follow the below steps to register. Open the website and drag the mouse pointer to the ‘Sign Up’ on the menu bar and click on it to open the register webpage or form. After filling the above details, just hit the ‘Register’ button, then an account will be created for you with the details which you provided. Immediately the webpage is redirected to ‘My Account’ webpage, there you can find a dashboard to organize your account. Next time when you want to login to the website then we can use the Email ID and Password to login. Currently you are now a registered user as everyone in ‘Candidate’ role, to register as ‘Employer’, drag the mouse pointer to the ‘Shop’ menu-item on the menu bar, there you will find the ‘Employer Packages’ sub-menu item, click on it to open the page which shows multiple employer packages. 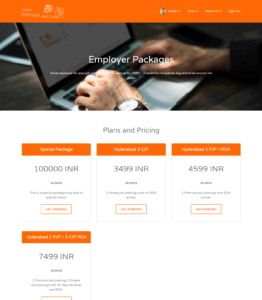 Screenshot: Employer Packages – Web page. (Note: The below are dummy packages). Choose any of the package in the list provided according to your requirement. Before choosing any package, first you should know about to some elements and their abbreviations. Complete information about the individual job packages are provided in other chapter/sections of the guide. After choosing your required employer package, click on the button ‘Get Started’, immediately the webpage is redirected to registration page. Screenshot: Employer Packages checkout web page. Once again verify the details whether your required package is selected or not as shown in the above screenshot. If incorrect or want to change the package, select it here through clicking on it. 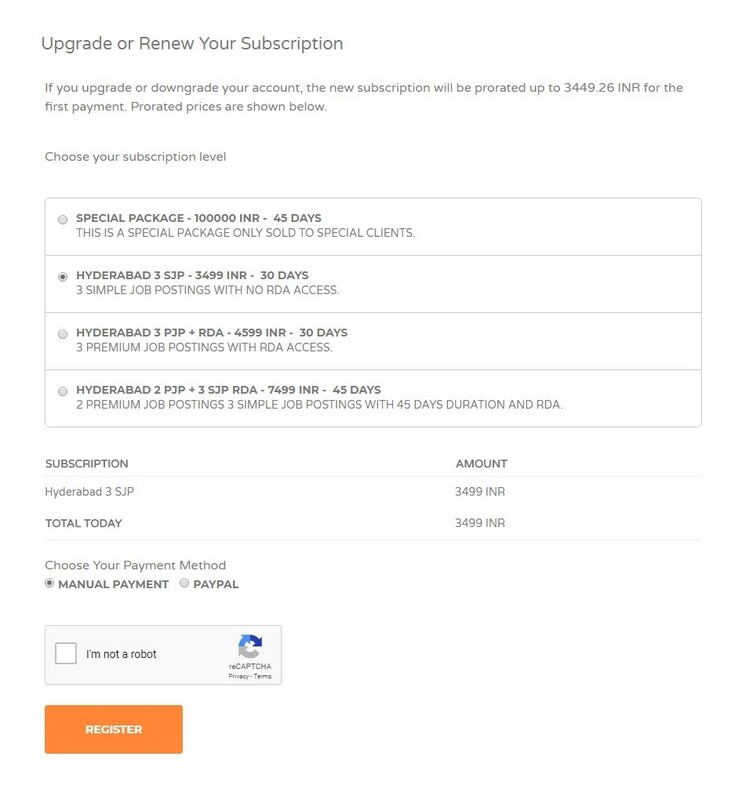 Choose the payment method, ‘Manual Payment’ or ‘Paypal’. Click on the Google Recaptcha’s square to prove you are not a robot/bot. After Recaptcha verification, click on the button ‘Register’. For the payments done through ‘Manual’ option, their employer packages will be activated directly by the Jobs Vibhaga’s sales executive or related staff member after your payments done through offline method. For the users who done their payment through online Paypal procedure, their employer package will be activated automatically and redirected to ‘My Account’ page. After their activations of their employer packages, your account’s role will be changed to ‘Employer’ role. Now you will be able to access the features provided for employers. A confirmation mail will be sent to your email ID provided while registration process.